Booking your room with Vivanta By Taj Dal View Hotel in Srinagar, India is simple. Check for latest rates, hotel details and pictures and reserve your hotel room online. Vivanta By Taj Dal View Hotel address is Kralsangiri Brein, 191121 Srinagar, India. Vivanta By Taj Dal View Hotel phone number is 91-194-2461111. Among Vivanta By Taj Dal View Hotel amenities we can list: restaurant, laundry service / dry cleaning / ironing service, fitness center. Some of Vivanta By Taj Dal View Hotel room amenities are: mini bar, internet access (wireless), internet access. Check above for more hotel and room facilities. Vivanta By Taj Dal View Hotel does offer car parking. Above you may also check Vivanta By Taj Dal View Hotel location on the Srinagar map and available touristic activities. Sitting 1730 metres above sea level, the luxurious Vivanta by Taj Dal View enjoys majestic views of the mountains and Dal Lake. Providing free parking, it has an outdoor infinity pool, a fruit orchard and 24-hour room service. Promotional codes, voucher codes, discount codes are not required for Vivanta By Taj Dal View Hotel reservartions in Srinagar as all prices have already been applied all discount rates available. This, together with our hotel comparison rate service, will save you up to 75% on online hotel bookings. 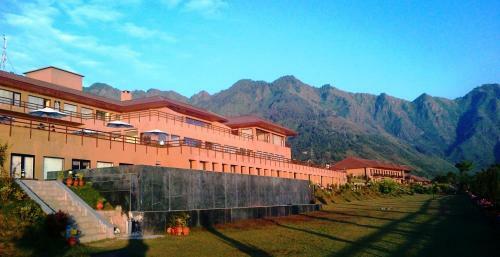 Vivanta By Taj Dal View Hotel was reviewed by 0 users and received a 0 /5 .